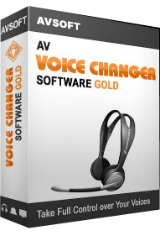 AV Voice Changer Software Gold 7.0.62 was available as a giveaway on March 18, 2019! 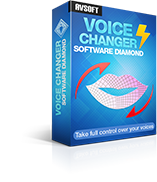 AV Voice Changer Software Gold is a program that lets you change your voice in real time on Skype, Discord, Steam and many other platforms. It has a huge list of Nickvoices, which are the ready-to-use presets that allow you to change your voice instantly: from male to female, alien, robot, baby, even animal voices like a bird, bear and many more. You can also add tons of voice effects, background effects and audio effects to make the conversation more interesting and immersive, while having the most fun with your buddies. With the great diversity of Nickvoices and Effects, each call will be a truly unique one, which is always as entertaining as the last. And most of all, you can save those settings for future use. How would you improve AV Voice Changer Software Gold 7.0.62? This is the best-selling voice mastering tool offered by Audio4fun. This all-in-one software can satisfy your every audio need, from changing voice in real time with VoIP programs, recording and editing your changed voice, even morphing vocals and converting batches of pre-recorded audio files. 60% OFF only for this day! Second message, now the offer has expired. Very disappointed - not sure whether with GOTD or with the developer - about the stony silence in response to the numerous requests for advice/support re this program. Got registration details at the site referenced in the readme. Opens OK on my Win 8.1 64 bit PC, but when using those details for registration it just keeps telling me: "Your license in invalid. Please register your license key to continue using". I copied and pasted the serial number into the registration form but it keeps telling me that the licence is invalid. Also, when I started the app it was making a screaming sound that got louder and louder. So I guess it is getting deleted already. Got the app installed but after going to reg page and filling in the form, the program does not let you register with the name, email and license key. Says "Your license is invalid. Please register your license key to continue using" rather than letting me use it. Just found out something guys, you need to set the compatibility of the program in order to get the activation to work. Change it to Windows 95, run the program and put the details in. Afterwards, it should activate and then you can change it back after. I got a serial number for the voice changer but I get an invalid code notification. I really would like to use this program. going in circles to activate it. Marston, did you copy the license right? I got the same problem and realized I copy the license plus a space behind. Then I activate again with the right typo, it works after that. Currently using with no problem on Win 7 64bit. 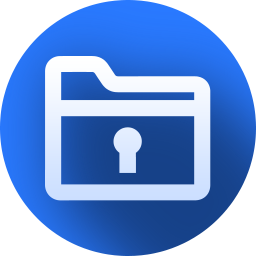 I look in the readme File as there is no key in there at all. Yes, I've been to the link as there is no forum to fill out. Installed,registered,ran and worked fine on my XP box with no hitches guess that was its target OS. Where do you get the serial number? Brian, really? It's running for me though. I'm using Win 10, a standard laptop with average settings. Henry, just curious... what constitutes a "standard laptop with average settings" I never knew there was such a beast or how to quantify a "standard" laptop or what settings would be an "average" of all the possible setting configurations by all the current users and what type of average are you talking about mode, median, or the mean? Can you save your voice as a recording? If you can then this would be useful to add to a video recording. Brian, I just downloaded the software and record my changed voice. It's nice actually. 7.0.62 strikes me as not all that far from 7.0.14. The latter received a four-star review from CNET, ten years ago. That's not an overwhelming lot of changes for ten years. Provided I understand versioning at all, of course. A later review on CNET in 2015 - version 7.0.61 - doesn't recommend AV Voice Changer Software because of the outdated interface and steep learning curve. It does stress speed and reliability on the pros side, as well as quality of sound capture and the many many options. I'ma give it a whirl - seeing as it's free to try out today and my OS is dated too - but I'm not sure the price reflects what you get. I'm not a programmer and administrating versions for software is a city on Mars to me. However... 7.0.62 strikes me as not all that far from 7.0.14. The latter received <a html="https://www.audio4fun.com/editor-reviews/vcs-cnet-review.html">a four-star review from CNET, ten years ago</a>. That's not an overwhelming lot of changes for ten years. Provided I understand versioning at all, of course. <a html="https://download.cnet.com/AV-Voice-Changer-Software/3000-2168_4-10056479.html">A later review on CNET in 2015 - version 7.0.61 -</a> doesn't recommend AV Voice Changer Software because of the outdated interface and steep learning curve. It does stress speed and reliability on the pros side, as well as quality of sound capture and the many many options. I'ma give it a whirl - seeing as it's free to try out today and my OS is dated too - but I'm not sure the price reflects what you get. NOT GOOD! Every time i open it, i get a bluescreen! I already deleted it! I also run W7 Pro x64 and have the same problem, even runninig as Administrator. Vangelis, I also run W7 Pro x64 and have the same problem, even runninig as Administrator. Same problem with a few on here, Windows 10 user the software closes after around a second, not able to register it or anything else. Anyone have an idea what is wrong? Downloaded quickly. Registration went very smoothly...and the good parts of this story just ended. Persistent squeak coming from the interface, but nothing else seems to work. I am opting not to use that squeak for anything. Couldn't get the download from GOTD to work so decided to uninstall and try installing the free trial version from developer's site. Program would not uninstall, I got an error message saying the install log file couldn't be found and had to use a forced uninstall. Downloaded the trial version and got a key from the site and installed and got exactly the same problem ... The program opens then shuts itself down. Running as administrator caused the program to freeze and had to use task manager to close and AVSoft Corp want $39.95 for this, you gotta be kidding! I don't see anything good coming from this program, tell me differently,,,,,,makes people untruthful ...... what do you dling it get out of it ? Rena, people are untruthful without this program. It's not a mandatory download, so you can pass it by. Has anyone worked out why it closes automatically after about 1 second from starting? Seems a few of us are experiencing this, but no feedback from developer yet. Windows 10 Pro, 64 bit, 8GB Ram, Intel i5 6500 cpu @3.20 GHz. Installed on Win10 home without problems. It seems you can load a wav file, so you can probably 'convert' it. I use a high-resolution monitor, so the interface is quite small. The default skin is hard to read and awful. When trying 'more' to download skins, I get the following text: "We're sorry but the add-on you are searching for is not available..."
Installed on Win10 home without problems. It seems you can load a wav file, so you can probably 'convert' it. I use a high-resolution monitor, so the interface is quite small. The default skin is hard to read and awful. When trying 'more' to download skins, I get the following text: "We're sorry but the add-on you are searching for is not available..."
Installed and registered on Windows 10 pro latest update without problem, could do with more popular voice profiles, such Dalek and Cylon. The program does not stay open long enough to register, Windows 10. I got the more basic version from last November's Giveaway, but it lost its registration sometime between then and now. Also it installed 10 separate tools (or so I assume, they all have the same install day and start "AV ...") on my computer, but with three uninstalls they were removed (it appears) quite nicely. (The first one I uninstalled also included 6 of the others, so three separate uninstalls, not one 3x.) The interface is very old-school. I have the same, opens and closes almost immediately. Can't register or use it. Windows 10, latest update, and drivers all up-to-date. Tried a range of Administrator and compatibility settings - no luck. Kestrel, win10 is badware on w7 works as charm ! W10 to trash. Can't seem to get the program to stay open long enough on my Windows 10 PC to fill in the registration details. I am the same as Mike Can't seem to get the program to stay open long enough on my Windows 10 PC to fill in the registration details. Very fast download, easy installation and registration and all for nothing because the software doesn't work. Blackhat, In this Win10 the mic does not work. Therefore the GOTD-program will miss the mic and can not work. Blackhat, In this Win10 the mic does not work. Tried it with the voicerecorder of Win10 and there is a screen about the mic. : https://www.dropbox.com/s/abptsyhr78pfis4/GeenMic.png Therefore the GOTD-program will miss the mic and can not work. Ootje, thanks dude, I'm sure I could have found a workaround but as the software won't run it doesn't matter anyway. Cute for a about the first 10 Min's. Then what? Jim C, so we can safely rule you out as the target user group, then.